Monkey Money 2 is rated 3.8 out of 5 by 4. Rated 5 out of 5 by nolagal from Loads of fun Such a fun game to idle your time away. 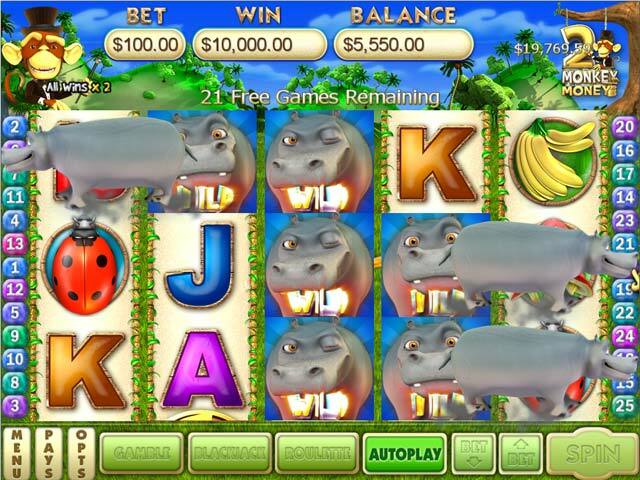 Excellent graphics and lots of opportunity to win as opposed to other Slot games where you play and play and rarely win. Such a fun game for all ages. Rated 4 out of 5 by Distraida01 from Fun to Play and Good Features Too What I like: Maxicash. 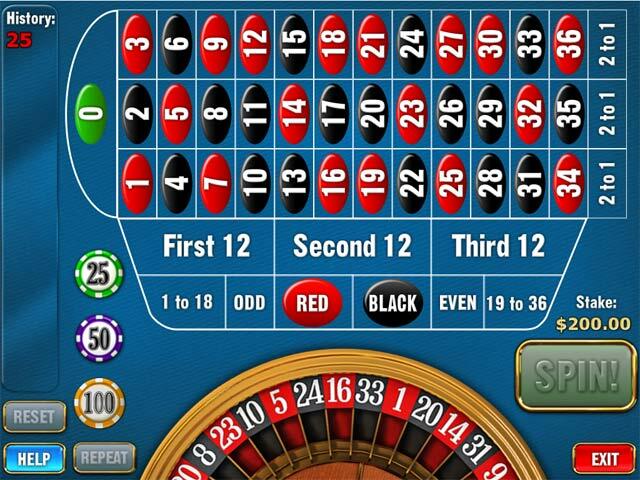 I've never won more than 2000 with it but the potential is there for more, and that's what makes a gamble fun. 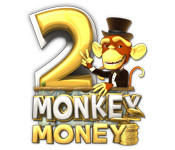 I also like Monkey Feature and Coconut Feature, each gives you free spins. I sure like to spin. What I don't like: Monkey Scratch Feature, Monkeno, and the gambling per suit and the roulette. The achievements are fun, but extraneous. Double Toucan feature comes up after free spins, I generally think it's too risky. If you just want to spin the reels, go for the first Monkey Money. 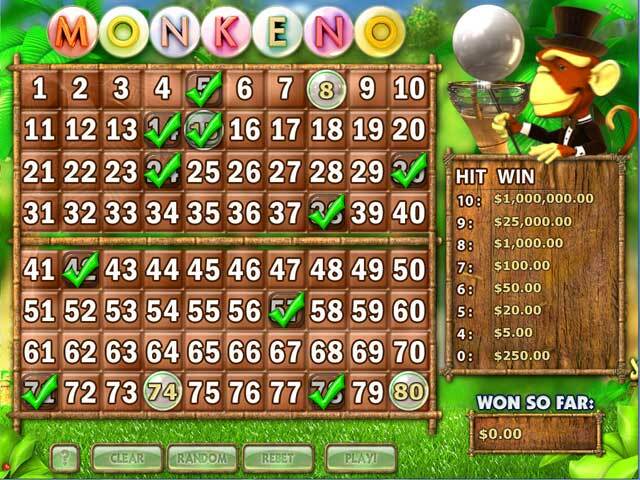 If you want to spin the reels and have the chance to "win big", go for Monkey Money 2. I have both of them. I play one for awhile, then play the other one for awhile, til my 'spin the slots' mood is over. Rated 2 out of 5 by mrm2006 from No Tutorial to speak of. As of today's date there are only 2 reviews about this game. I don't know if it's because it wasn't a much advertised game or people just didn't get it or didn't like it and those same people then weren't interested in leaving reviews - because it really is a lot of hard work, especially if you don't care for a game. So saying, I couldn't like the game because I didn't understand it. I don't like slots because I've never understood it. So, we'll just overlook that completely. I do, however, like roulette and the other game that was offered but this is what I ran into: First, "auto gameplay". Just click on that little button and walk away from the computer for an hour, come back, your free demo will be over but, believe it or not, the game has continuously played itself over and over and over until you either ran out of "cash" or time - all without you needing to be anywhere need the computer. You could have gone on a grocery run or a trip to the moon, that free demo was taking care of business without you - didn't even need you for company. No, thanks all the same. I truly believe I would have enjoyed the other 2 out of 3 games offered. But, didn't get the chance to find out because as much as I clicked, clacked, punched down on, swore, prayed and begged over the keyboard and mouse, I could not get anything other than the slots game to come up. Could it be that those other games are not "unlocked" until you purchase the entire game? If that's so, it should be written in the game's description. I have handheld casino games that work better and are more fun than this game. Money Monkey 2 certainly made a monkey out of me. In all good conscience, this Glam-ma cannot recommend a game I was unable to play. Happy Gaming. If this review was helpful, please click on the "yes" button below; if not, there is also a "no" button. Seriously? Would you give YOUR Glam-ma a "no" - just kidding.